A dragonfly looks incredibly well on patterns, no matter whether it is just a simple Dragonfly Blanket Pattern or more the fancy Dragonfly Applique. This blanket has got not only dragonflies scattered throughout but is also based on a chevron baby blanket pattern. As you can see, the final work looks amazing! For more patterns every day follow us on Facebook. The Link to the pattern is below. 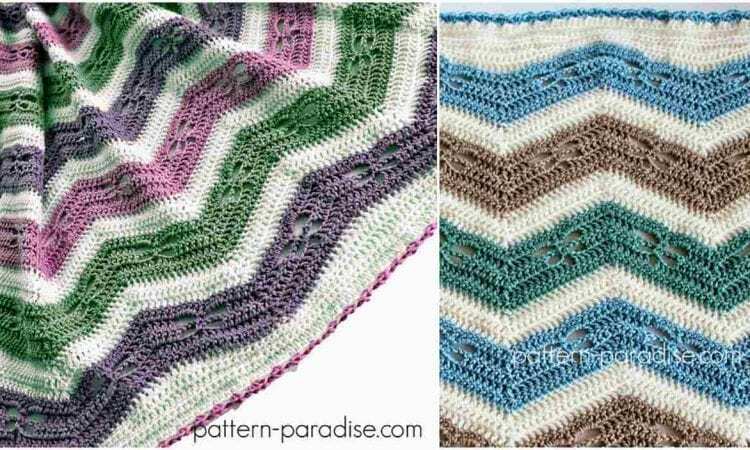 Dragonfly Chevron Blanket – visit the free pattern site. You may visit here to see more details about hook and yarn. Beautiful I am going to make one.